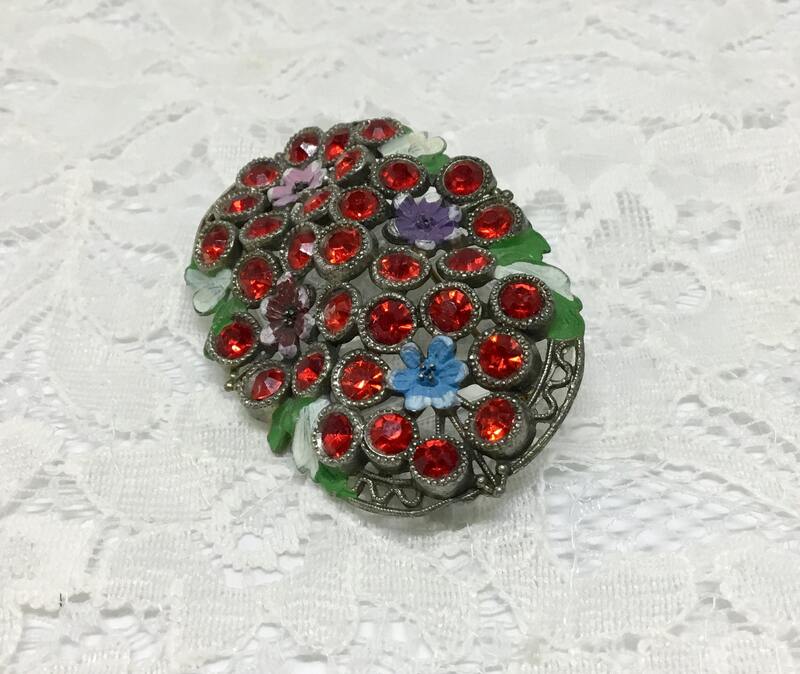 This is a 1940s vintage pot metal openwork dimensionsl floral brooch. 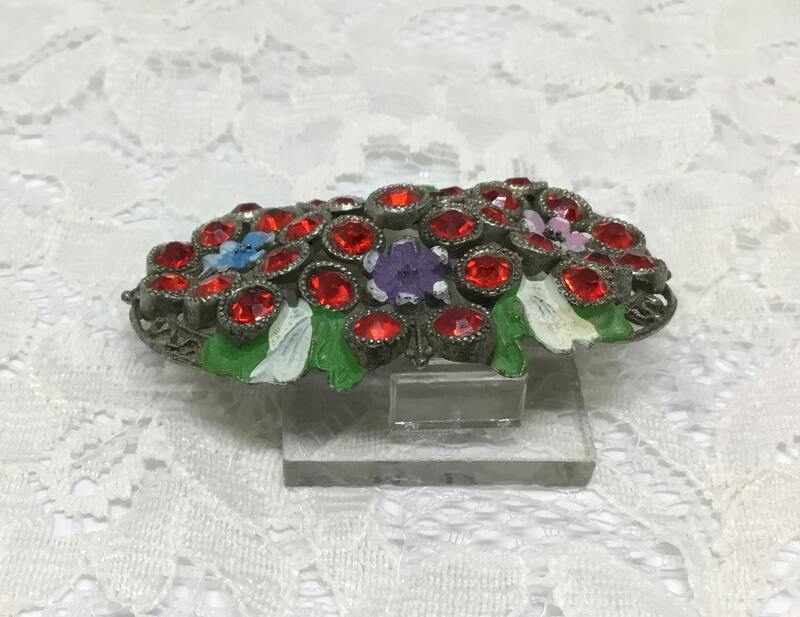 The potmetal setting is openwork. 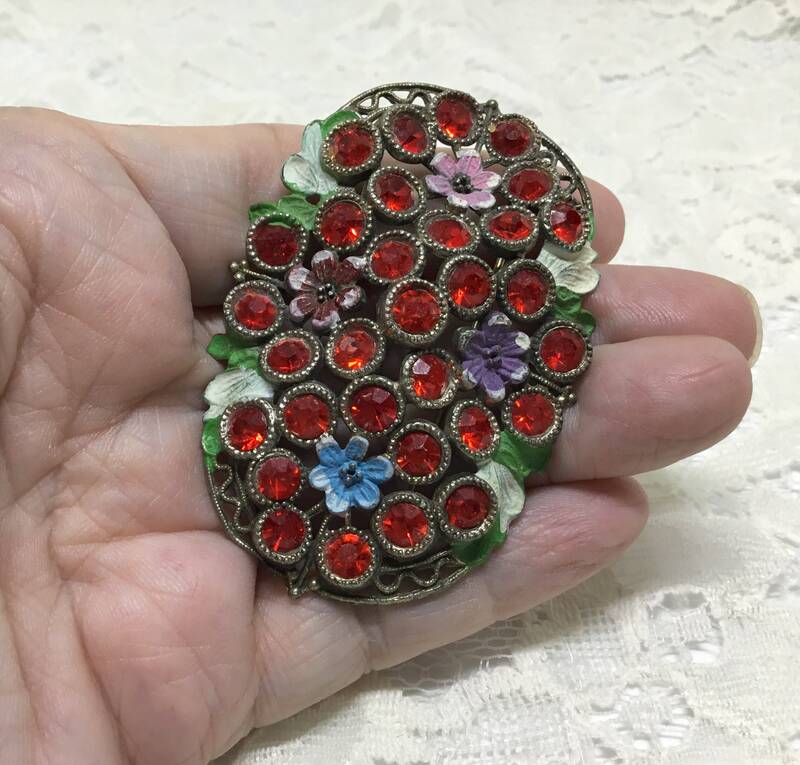 There are four enamel flowers and also green enamel leaf clusters. 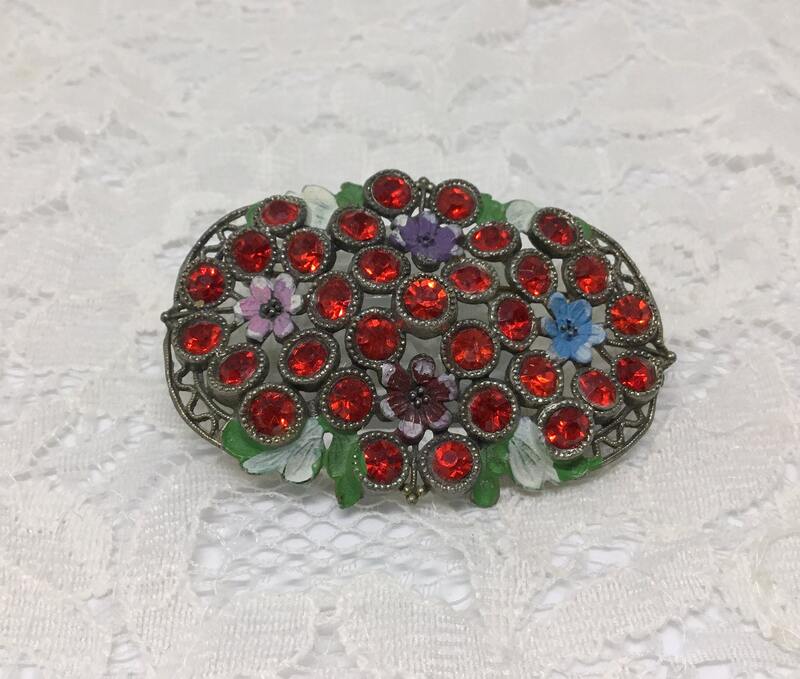 A large portion of this dimensional brooch is cherry red paste set rhinestones. 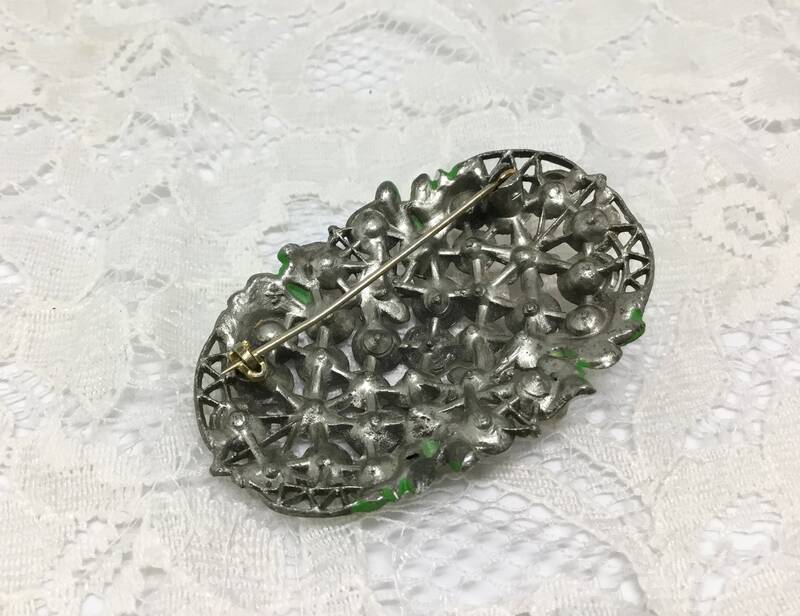 It measures 2 1/2” x 1 1/4” and the pinback is straight and works smoothly and securely. 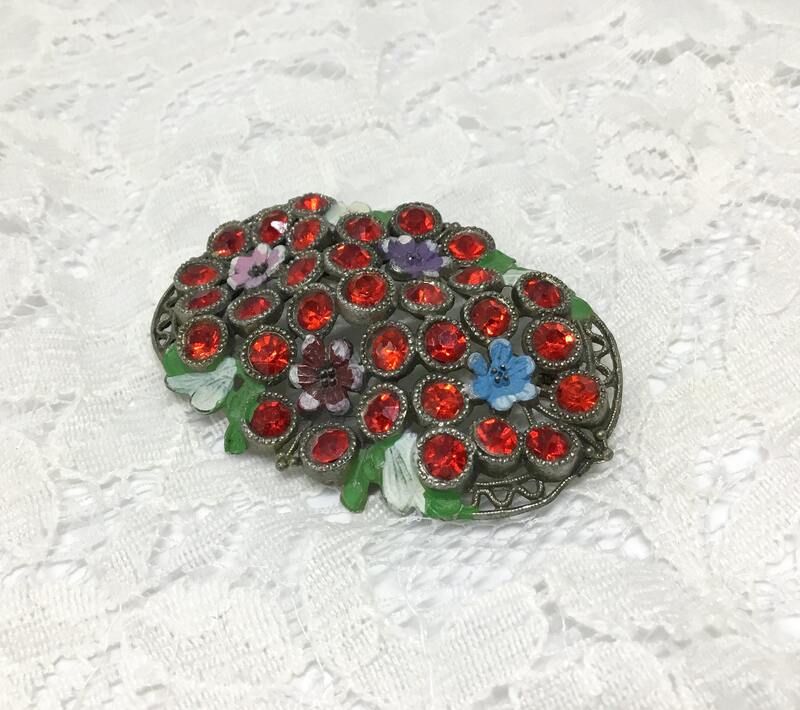 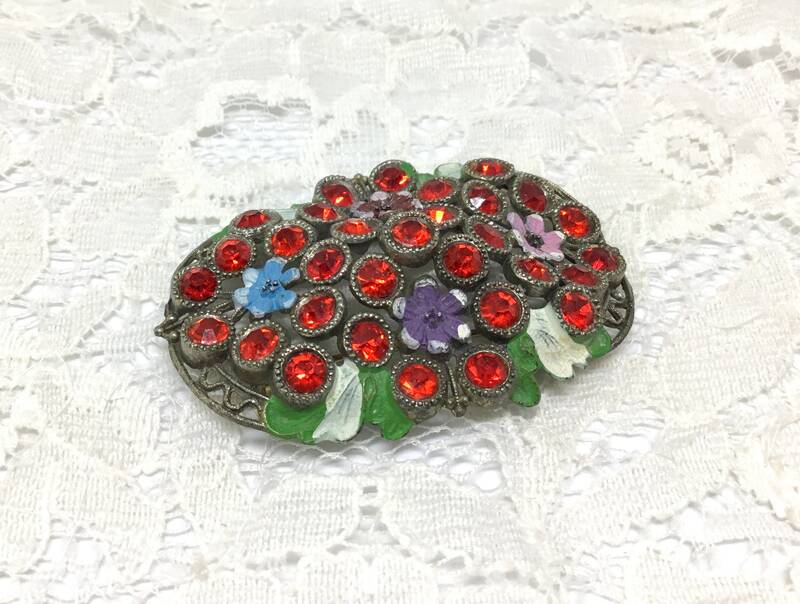 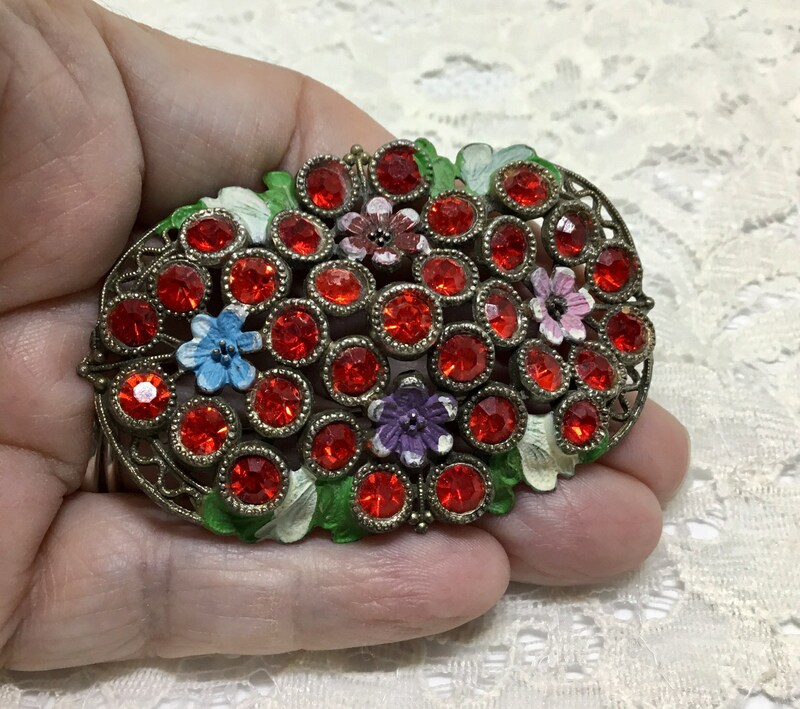 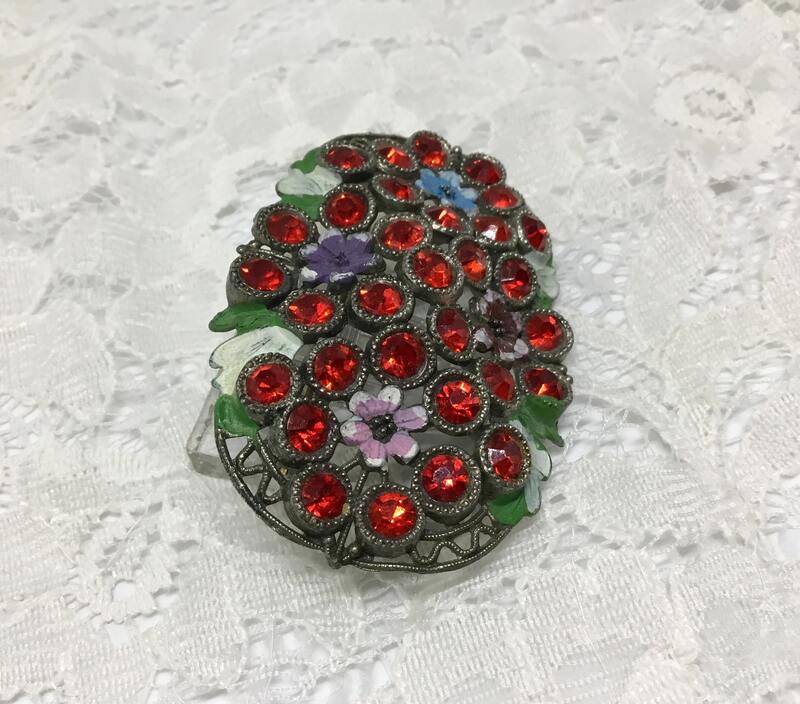 A cheery and colorful brooch with many years of history to wear or give as a gift!